- Cleans skin and nails. - Provides a healthy skin complexion. - Calms occasionally irritated skin. 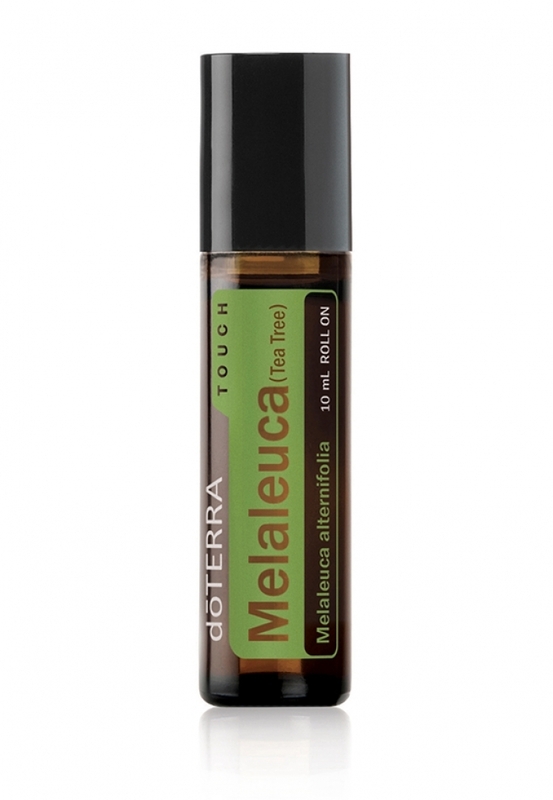 Feel the refreshing effects of doTERRA Melaleuca Touch also called Melaleuca Roll on in a handy bottle with a lightweight skin coating that is already diluted in fractional coconut oil in an optimal proportion and ready for direct application to the skin. Melaleuca Touch can be used to clean skin and nails and promote a healthy skin. It is ideal for calming the occasionally irritated skin, aftershave and feet for cooling effect. - Apply it to skin irregularities to cleanse the skin and rejuvenate it. - Use it for occasional irritation of the skin and rub it on the affected site. - Apply it after shaving to soothe the skin. - After showering, rub it in your nails, on your hands and feet for healthy nails. - Apply it to the inside of the shoe for a fresh scent in shoes, and give yourself a fresh scent of your feet. Apply to the skin: Apply it to the desired area.